WJCS NEWSLETTER: A GREAT START TO THE SCHOOL YEAR! Thanks to the generosity of UJA Westchester, MasterCard, Cuddy & Feder, Congregation Emanu-El, elementary school volunteers from the Solomon Schechter School of Westchester and the Off the Street Club at Scarsdale High School, as well as many individual donors, more than 1,000 children in under-resourced communities throughout Westchester will be starting school this year with brand new backpacks, school supplies, and clothes bought with Old Navy gift cards. "Our 2018 Back-to-School Backpack Drive has been our most successful to date," says Rebecca Sigman, WJCS Community Engagement Director. Want to volunteer in our afterschool program or other WJCS activities that help children? Apply here. "After this week, I feel more at home with myself." The first-ever WJCS Center Lane Pride Camp was introduced this summer. The free 5-day leadership conference for teens in Westchester was created to help teens connect with LGBTQ+ culture and history and develop a community. Their words speak to the program's success: "After Pride Camp, I am better equipped to educate people about LBGTQ and have a stronger ability to speak my truth," said one youth. Another said, "It was very comforting to hear and learn about everyone's different experiences. And another teen commented: "It was WAY DEEPER than I thought it would be. We talked about so many issues and I felt I met a community here that I will have for the rest of my life." New York State Senator Andrea Stewart-Cousins, Kym McNair, Coordinator for Community Education and Communications at My Sisters' Place, Sherry Wiener, Developer of Educational Programs at WJCS, and other prominent women of diverse backgrounds shared their career journeys and advice with girls, ages 9-13, at WJCS Wiener Academy's 2018 summer program. "Girl Power: Follow Your Dreams" was the summer theme and, after enjoying weeks of workshops focusing on personal goals, health, fitness, organizational skills, financial literacy, and career exploration, the girls are, undoubtedly, starting school this fall geared up for learning and enrichment. 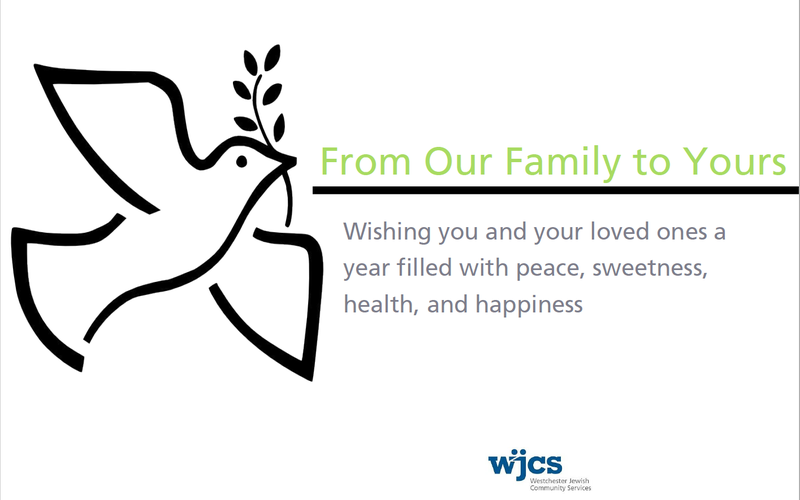 To all those who celebrate the Jewish New Year, we, at WJCS, wish you a year filled with peace, good health, happiness, and prosperity.